Discover our best selling Aromatherapy Oils formulated with the finest essential oils to give you the best aromatherapy experience. Enhance your beauty sleep with our iconic, award-winning blend of elite oils. Relaxation in a bottle. Leave the world at the bathroom door and unwind with the finest essential oils. Massage your way to natural relaxation like no other with this elite, restorative blend. Roll on "pure relaxation" for a sublime aromatherapy experience wherever, whenever. Your perfect after-work or workout companion, with powerful benefits blended within this body oil. 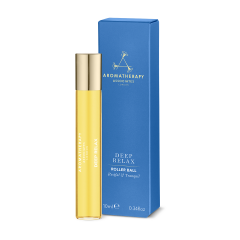 Restore a fatigued and tense body with our supremely enriched essential oil blend. Unwind and restore focus and clarity with this fusion of stress-diffusing oils. 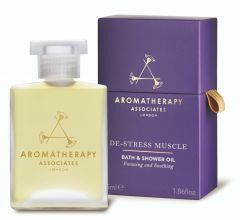 Re-charge for the evening ahead with this revitalising Bath & Shower Oil. Treat yourself to a luxurious experience and a reviving start to the day with this award-winning Bath & Shower Oil! Ideal for your handbag, the Revive Roller Ball is the perfect treat to enjoy a mindful moment and boost your energy at any time during the day.